Since the fair Novia España started more than 25 years ago, Matglori has attended this event year after year. 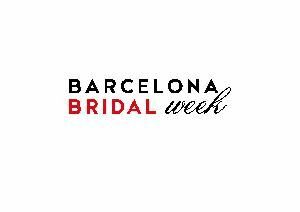 We want to inform you that this year will not be an exception and we will participate in the next Barcelona Bridal Week edition. Therefore, from April 26th to 28th, both included, we invite you to discover, see and touch all the new items for the 2019-2020 season at our booth number 211 of Pavilion 2 of the Montjuic 1 Campus, in Plaza España. The invitations have already been sent to our clients, if you have not received it do not hesitate to contact us. Bridal Accessories, What Suits you better for your Perfect Day? Okay, so you got the wedding dress and arranged a make-up artist for your perfect day. That day you will remember all your life. Everything is set for you to look more than great, to be outstanding. The hairstyle will be gorgeous, you know it. So what’s missing? Of course, the bridal accessories to look like the most wonderful bride ever. You need any help? Here we will recommend you some wedding complements that will make you look memorable. Our first advice is not to try to overdo things. It’s extremely important that you find balance between showing impact and be the center of attention while you reflect your own personality. Don’t miss the opportunity of showing to everyone who you are. So here we go! We are excited that we will be present once again at the Barcelona Bridal Week, taking place from May 8th to 10th. The entrance to the Hall is from Gran Via, P2 Palace, Level 0, situated in the street B. We hope to meet you at the stand number 230, where we will introduce innovations in accessories for this year 2015.